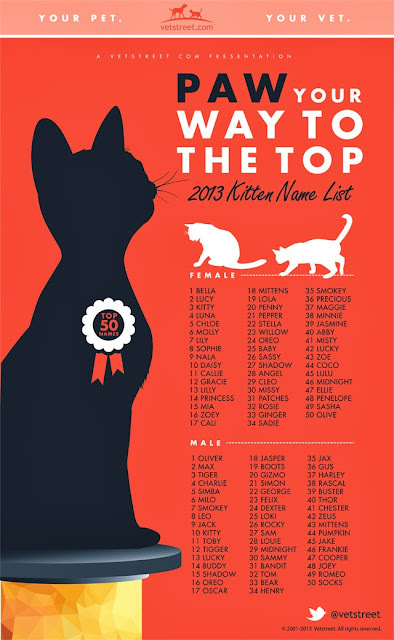 Vetstreet.com recently released their list of the year's most popular names for kittens. The list is made from a database of 425,000 kittens born during the year. The most popular name for a girl kittie is Bella, holding the top for the seventh year in a row. The most popular name for boy cats is Oliver, who poked Max down to second place after five years at the top. Names on the move are Luna, Mittens, and Pepper. Nice list. I think all the names on there are pretty common. Especially those male names.